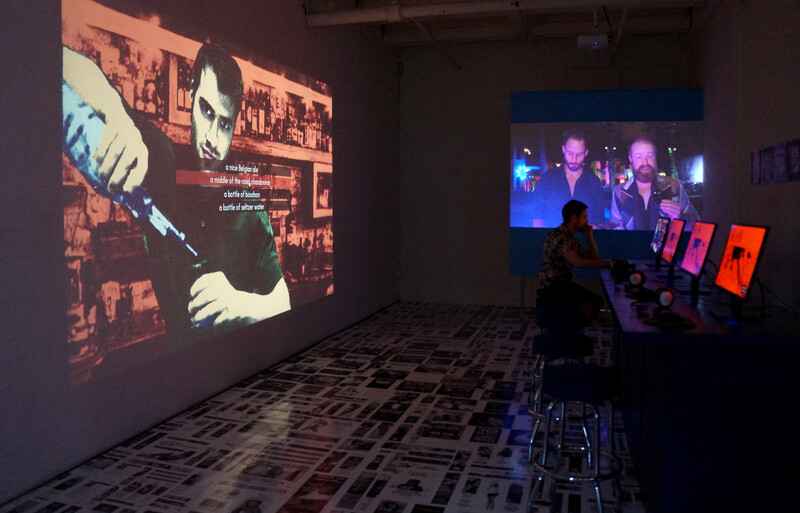 Angela Washko‘s ‘The Game: The Game’ is an immersive installation and platform to experience the first chapter of a video game presenting the practices of several prominent seduction coaches (aka pick-up artists) through the format of a dating simulator. 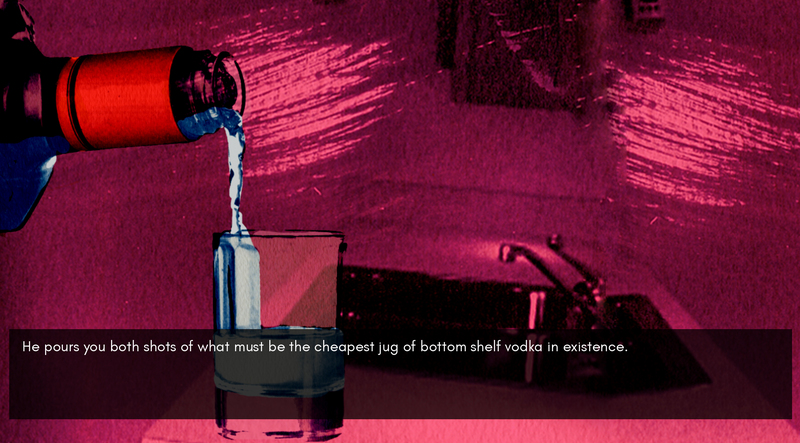 In the game these pick-up gurus attempt to seduce the player using their signature techniques taken verbatim from their instructional books and video materials. 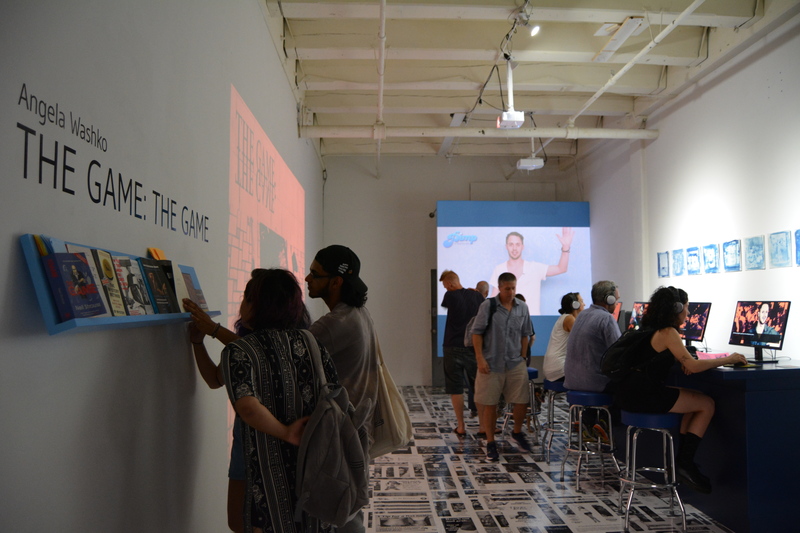 The first chapter of the game was be presented at TRANSFER Gallery in NYC along with a musical score composed by Xiu Xiu, whose perverse, challenging, personal and complex music complement the murky, frequently dark, isolating and complicated experiences and aesthetics presented in ‘The Game: The Game’. 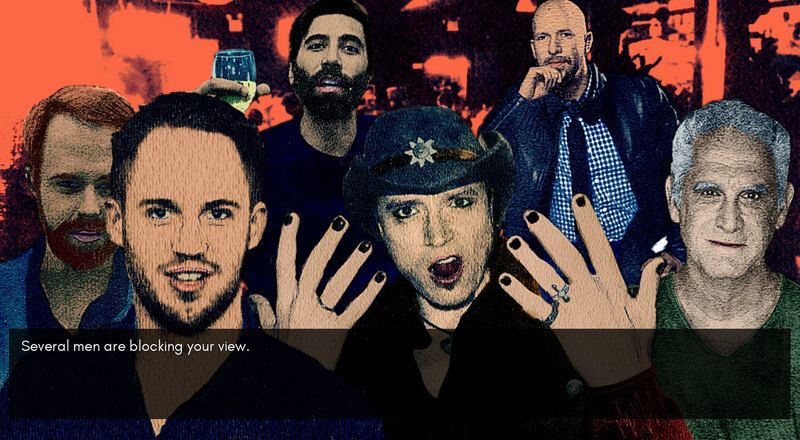 The project is a continuation of ‘BANGED’ a year-long project in which the artist interviewed ‘Bang’ series author and manosphere figurehead Roosh V and tried to get in contact with his alleged sexual partners. After working on ‘BANGED’, the black and white ways in which this field has been portrayed seemed too simple and unfair to all parties who encounter it and provoked this question: Is practicing “game” inherently wrong and dishonest or can it be practiced in a way that simply levels the dating playing field in favor of those who are otherwise socially or physically disadvantaged? 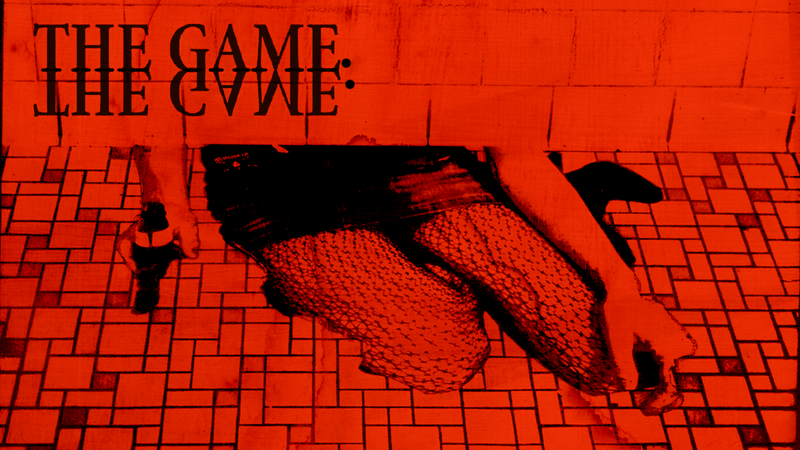 By proposing ‘The Game: The Game’ Washko hopes to add levels of complexity to public conversations around both pick-up and feminism which have both found themselves most often presented in highly polarized, dichotomous positions in mainstream media.